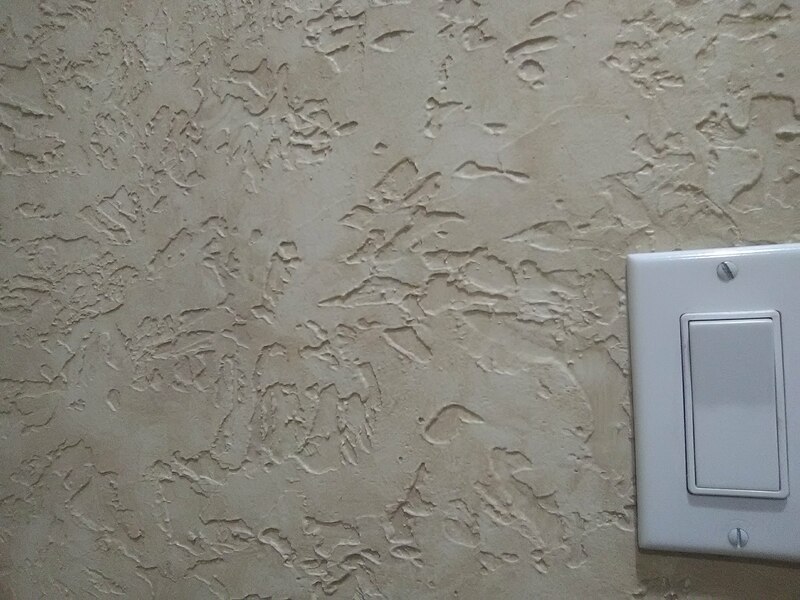 A few years ago, this wall finish was quite popular. There are different levels of thickness, but the general name for the style is Venetian Plaster. To me, this looks rustic and “Tuscan,” yet people were putting it in modern homes, and even Victorian styled homes. Today it’s out of style, and people are going back to wallpaper. The walls will have to be smoothed again, before wallpaper can be applied. 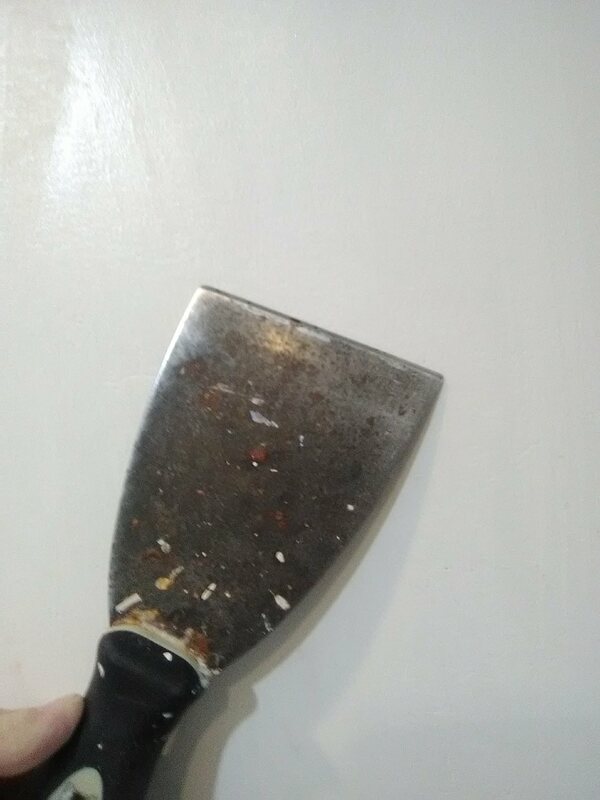 Because this particular example is especially thick, it will take a lot of smoothing compound and a lot of drying time. 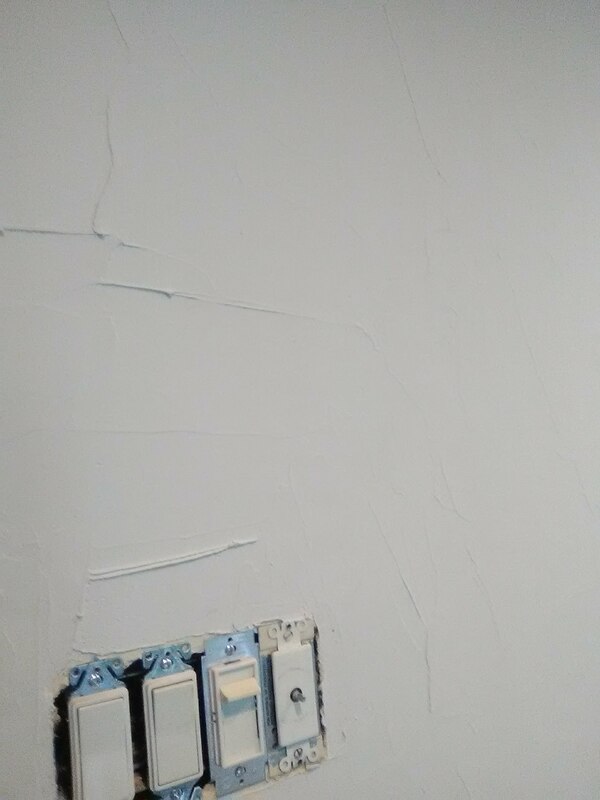 The second photo shows the wall after I applied the smoothing compound. It had to dry overnight, with three fans set at ‘high’ blowing on it. 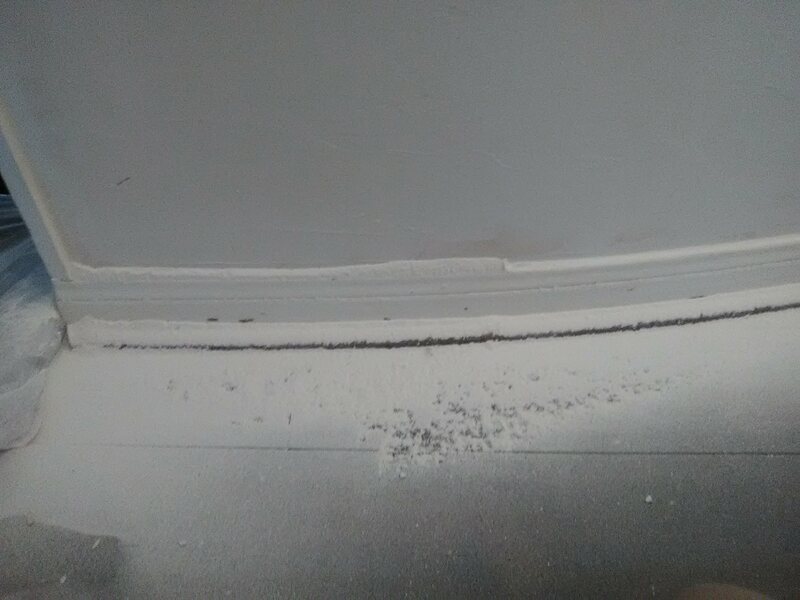 In the third photo you see all the dust on the baseboard and floor, from sanding the wall smooth. This is way more than usual, because of the thickness of the original texture that I was covering up. The last photo shows the wall after I sanded it and primed it. It’s now ready for wallpaper!